At Region Dental, Drs. Berquist and Ornelas are passionate about preventive dentistry. We offer more advanced dentistry options to restore damaged teeth, but we prefer to help patients maintain their optimal level of oral health from the eruption of their first tooth. The American Dental Association recommends patients visit their dentist two times each year for preventive checkups and professional teeth cleanings. We welcome patients from Michigan City and other nearby communities to contact our La Porte practice to find out more or schedule an appointment. Next, one of our skilled dental hygienists will thoroughly remove bacteria, plaque, and tartar from even the most difficult to access parts of teeth. Our knowledgeable hygienists also offer education regarding the best practices in at-home oral hygiene, as well as give recommendations for products and answer your questions. Finally, the most important part of every visit is having the opportunity to sit down face to face with our patients. 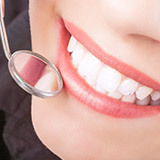 During these consultations, we work in partnership with you to develop an oral health treatment plan that meets your needs and keeps you smiling. Dental sealants are one of the fastest, easiest ways to protect teeth. Most commonly recommended for children, patients of any age who suffer from frequent tooth decay may benefit from dental sealants. 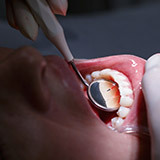 The placement process is simple and can be completed during any regular dental checkup. A thin coat of liquid sealant is painted over the surfaces of teeth and hardened into position. Sealants create a protective coating, keeping bacteria and plaque from causing damage. With proper care, sealants protect teeth for up to ten years. 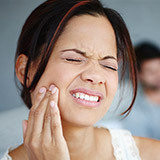 Patients who experience bruxism (also known as teeth grinding and clenching) are often blissfully unaware of the condition for years because most instances of bruxism occur while patients sleep. While bruxism can lead to a number of oral health concerns, including worn-down teeth, chips, cracks, and TMJ dysfunction, the treatment is simple: painless oral appliance therapy. Oral appliances are worn during sleep, placing a barrier between teeth and protecting them from the unconscious grinding and clenching. Store-bought options offer some relief, but our custom crafted appliance offer superior comfort. Oral cancer claims the life of one US adult every hour on average, and only one half of those patients diagnosed this year will survive five more years. While the majority of patients diagnosed with oral cancer use tobacco products or drink excessively, 25 to 30% do not participate in any high risk behaviors. Regular oral cancer screenings allow our team to diagnose and treat oral cancer in its earliest stages. Traditional X-rays made it possible for our team to view the inner workings of dental structures, but they also presented a number of issues, including being difficult to capture, exposing patients to high levels of radiation, requiring hazardous chemicals to develop, and taking large amounts of space to store. Digital X-rays allow our team to capture images quickly, and we are able to view them with patients immediately on chairside monitors. The digital images can be enlarged and color coded for an easier explanation of health concerns. 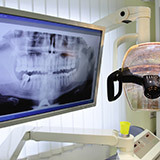 Digital X-rays do not require extra storage space and can be easily shared with patients, insurance providers, and specialists. Fluoride treatments are frequently recommended for young patients in order to fortify the tooth enamel. After applying a small amount of topical fluoride to the surfaces of teeth, additional fortifying minerals are attracted to the treated area, strengthening enamel and preventing a number of common dental health concerns, including decay, chips, and cracks. Like dental sealants, fluoride treatments are easy to apply and can be placed during any checkup to provide protection for several months. Fluoride treatments are also beneficial for patients who have sensitive teeth. Dental anxiety affects millions of adults and children. In some cases, this fear keeps patients from receiving the dental care they need to maintain healthy smiles. The Region Dental team is dedicated to helping patients relax and receive quality attention, but we know that in some cases, even the friendliest team and most welcoming atmosphere can’t allay their fears. 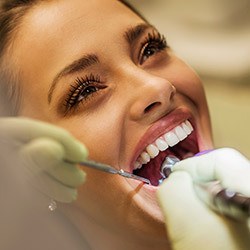 For those patients who experience severe dental anxiety, have overly sensitive teeth, suffer from a sensitive gag reflex, or who need numerous procedures in a single visit, nitrous oxide sedation may be the ideal solution. This time-tested sedation method is inhaled through the nose during treatment. The doctor can easily adjust dosage throughout treatment for ideal relaxation. Most importantly, the effects of nitrous oxide wear off quickly, meaning patients are able to return to their daily routines right away.